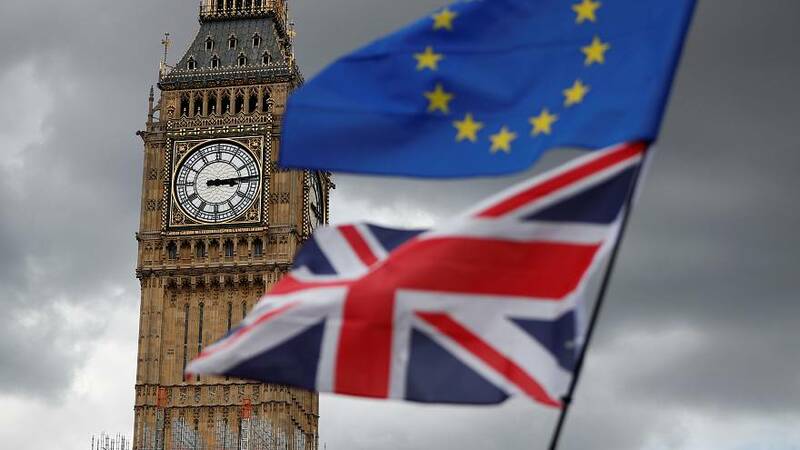 European Union sources say the United Kingdom has offered to pay much of what Brussels was demanding to settle the so-called “divorce bill” – a crucial condition for moving Brexit negotiations on to future relations including a future free trade agreement. Numerous reports quote EU diplomats as saying that the British have made an offer that is described as “promising”, and brings the two sides “close to a deal”. Earlier, after the offer was first reported by the Daily Telegraph, it was played down by a British government spokesperson. On Wednesday morning Downing Street has continued to say that it does “not recognise” some of the figures being reported. The Telegraph reported that agreement had been reached in principle over the EU’s demands and that the final figure would be between 45 billion and 55 billion euros. The Guardian and the BBC have reported similar numbers, while the Financial Times quotes diplomats as saying the UK had agreed to liabilities worth up to 100 billion euros – although the net amount, paid over many decades, could fall to less than half that amount. The pound quickly jumped against the euro and the dollar late on Tuesday, when the news was first reported. The EU's chief Brexit negotiator Michel Barnier said on Wednesday he was "still working" to reach agreement with Britain about its exit from the bloc, declining to comment further on the reports about an increased offer. The EU’s demands are for obligations concerning post-Brexit spending on commitments made before the UK leaves the bloc in March 2019, as well as for the funding of EU staff pensions for decades to come. In her speech in Florence in September, British Prime Minister Theresa May suggested the UK was ready to pay about 20 billion euros covering the period through to 2020, saying she did not want other countries to be out of pocket. It’s understood that there has been no agreement on a precise figure: rather the reported agreement is over a mechanism for calculating obligations. Theresa May is to meet the European Commission President, Jean-Claude Juncker, next Monday (December 4), ahead of a European Council meeting on 14-15 December – when EU leaders will make a final decision over whether to move on to the second phase of Brexit talks. It’s thought Michel Barnier could give his opinion ahead of that date. The EU set the condition of “significant progress” on three key elements of a withdrawal treaty – the financial settlement, the Irish border and EU citizens’ rights. Some officials are reportedly still cautioning that essential agreement from the other 27 member states cannot be taken for granted. The contentious question of the border between the Irish Republic and Northern Ireland has emerged as potentially the most difficult obstacle. Dublin has said it wants a written guarantee from London that there will be no “hard border” along the future land frontier between the UK and the EU. The British prime minister is said to have won the backing of her cabinet for the increased financial offer, including from Eurosceptics. The reaction from Brexit supporters among the wider public is uncertain. The former leader of the United Kingdom Independence Party (UKIP) Nigel Farage has described it as "a very, very bad deal".